Carb House Press, 9781732300002, 242pp. 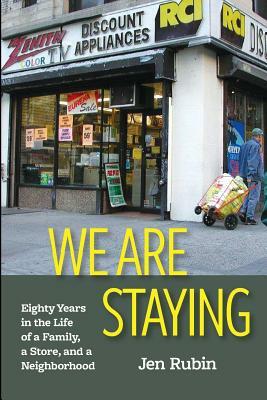 "The best political stories are the human ones, and Jen Rubin recognizes this...Anyone who cares about urban policy, the history and the future of New York City and of a country that suffers from so much division, yet has the potential still to unite, will cherish this book." A resilient and street-smart character, Alan was never stronger than he was during in the aftermath of the blackout. When others closed up shop and neighbors feared the neighborhood's further decline, he hung a sign on the window the day after the blackout that read defiantly, "We Are Staying." He stayed and he stayed and he stayed, until, finally, he could stay no longer.